LABW opening gala – Soda wanted! Hey all you soda makers! 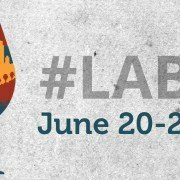 The Los Angeles Brewers Guild is requesting your talents to contribute to the Non-Alcoholic refreshment tent at the LA Beer Week opening gala beer festival on June 20th. Fellow PG member Jonathan Porter of Smog City Brewing Co. is heading up the effort to put together an assortment of awesome non-alcoholic beverages for people to enjoy. We don’t have all the details worked out for pouring, but we’re asking that if you come to the fest, you also spend time at the tent pouring and talking to people about your creation. If you need CO2 for carbonation, or even a loaner keg, please email Porter at [email protected] for questions, comments, concerns, and to let us know that you want to participate! http://pacificgravity.com/wp-content/uploads/2015/06/LABW_2015.jpg 509 1425 Tad Johnston http://pacificgravity.com/wp-content/uploads/2015/01/pg_logo.png Tad Johnston2015-06-13 12:15:252015-06-13 12:15:25LABW opening gala - Soda wanted!